Let’s clear something up right away: Bail and money bail are not the same thing. Bail refers to any condition of pretrial release. 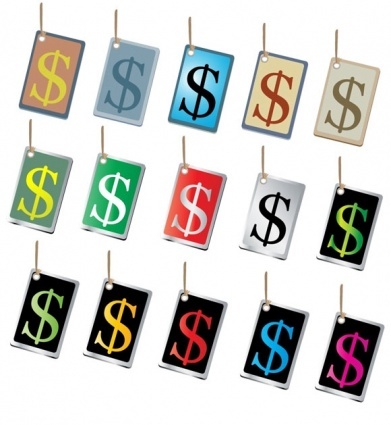 Lots of conditions of release have nothing to do with money; supervision and monitoring, for instance. It’s money bail, specifically, that requires someone to pay an amount of money to get released pretrial, making a person’s financial resources a determining factor in whether or not that person sits in jail. What I heard over and over again was this: Bail is supposed to do two things. One: make sure that someone comes back to court for their trial. Two: protect public safety. Wait a second. 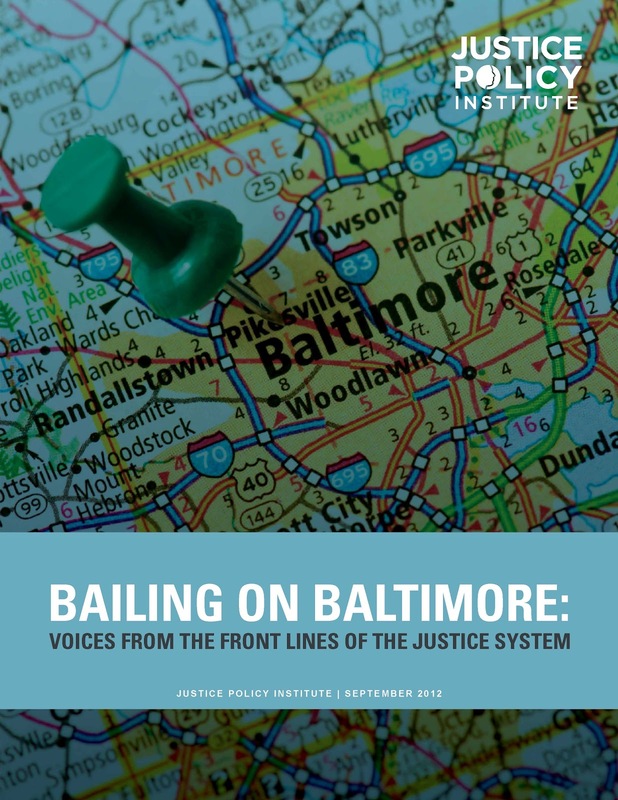 How does a system that relies on money bail protect public safety? Money bail doesn’t keep violent people locked up; it just keeps poor people locked up. People who may pose a threat to public safety can still get out of jail; they just need to have the money to do it. And that’s just one of many problems when it comes to bail in Baltimore. As America’s prison population has swelled over the past three decades to become the largest per capita in the world, the number of special interests that feed off the prison industrial complex has grown. The expansion of companies that benefit from crime and incarceration is no accident; it is the result of extensive lobbying by businesses that profit from other people’s misfortune – primarily the misfortune of the poor, who are vastly overrepresented in our nation’s prisons and jails. Often overlooked among the special interests that profit from the criminal justice system in the U.S. is an industry that portrays itself as one dedicated to helping people get out of jail. In actuality, though, it is involved in keeping people incarcerated in order to protect its bottom line. Just 20 years ago in most jurisdictions nationwide, the services of bail bondsmen were only required by defendants who had a high bond set by the court, which typically occurred in cases involving serious crimes or repeat offenders. Most defendants were released through publicly-funded pretrial services that granted release on personal recognizance based on a promise to appear at future court dates. Currently only Illinois, Kentucky, Oregon and Wisconsin prohibit commercial bail bondsmen. Other jurisdictions have laws that allow, and sometimes encourage, the use of bail bond companies. This expansion of the bonding industry has contributed to high jail populations. This post was originally published 9/11/12 on the Brennan Center for Justice blog as part of JPI Bail Month. 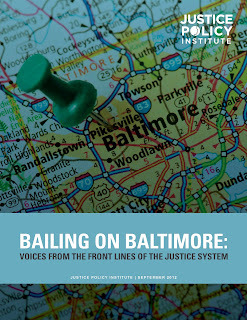 Today, the Justice Policy Institute released the first of three important reports regarding bail. The report highlights the consequences of a system dependent upon an accused person’s ability to pay. It is important to remember that people subjected to this system are considered innocent according to the law. Yet, they are penalized nonetheless. JPI, a national non-profit organization, offers new data and provides recommendations for practical reform. 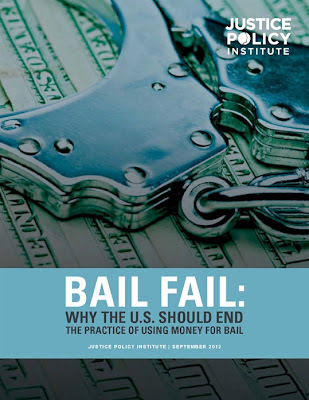 Entitled Bail Fail, the study highlights how, in conjunction with the large-scale, fast-paced, assembly line nature of the criminal justice system, the bail system creates a reality where the outcome of a criminal case depends less on the facts of the case and more on the finances of the person charged. In the criminal justice system, 80 percent of the accused are too poor to afford an attorney, more than 60 percent are people of color, and the bulk of the cases are low-level, non-violent offenses. Most of this population cannot afford bail and are incarcerated before trial for long periods even though they have not been found responsible for any crime. Bail Fail notes “60 percent of the jail population is not convicted but being held pretrial,” and that “this issue is a huge contributor to the mass incarceration of people in the United States, resulting in overcrowded facilities and unsustainable budgets.” The report further points out that “those too poor to pay a money bail remain in jail regardless of their risk level or presumed innocence . . . U.S. Attorney General Eric Holder in 2011 stated that keeping people awaiting court dates in county jails costs around $9 billion each year.” That amount is roughly equivalent to the annual budget for the Environmental Protection Agency.